SALONIKA, SATURDAY JULY 11, 1942. Jewish men being drilled by Germans to determine if they are fit for forced labour. THE Greek people have elected the left-wing Syriza party into office, signalling they've had enough of imposed austerity and unemployment, and though the neo-Nazi Golden Dawn remains menacing in third place, Syriza's victory is a gain for democracy itself. The new left party will face a rough ride, confronting powerful enemies, and may yet be forced to compromise, but for now it carries the hopes not just of Greeks, but of young people particularly, and we can only wish it well. Tomorrow, January 27, is the anniversary of another kind of left-wing victory, the day in 1945 when Soviet soldiers, belonging to the First Army of the Ukrainian Front, liberated Auschwitz camp in south-west Poland, where so many people had been killed. This day has been designated Holocaust Memorial Day, and there will be various commemorative events. Many Greek Jews were in Auschwitz, as well as some Greek resistance fighters,both Jewish and Gentile, and they did not go quietly to their deaths. On October 8,1944, realising the Nazis were destroying evidence of their crimes and would kill them because they knew too much, members of the sonderkommando, who had been employed to dispose of corpses to the crematoria, rose up in Auschwitz-Birkenau, killing several Nazi SS men and blowing up a crematorium with a home made bomb, before they were crushed. Some 300-400 prisoners took part in this rising,and some tried to escape,heading towards the approaching Soviet forces. Among the rebels were about 60 Greek Jews, led by an ex-army officer called Joseph Barukh. There had been Jews in Greece since ancient times, but their numbers were considerably increased after the expulsion from Spain, and the Inquisition. Sefardi Jews found refuge in the comparatively tolerant Ottoman Empire of which Greece was then part, bringing with them their skills and their own Judeo-Hispanic language, Ladino. Salonika, or Thessaloniki , became the main centre of Sefardi people in the world, for over 400 years. Like Vilna in the north for Ashkenazim, Salonika was renowned for its scholars and yeshivot, but also had a distinctly Jewish working class, particularly in textiles, and in transport and the docks. At the beginning of the 20th century Jews formed more than half of Salonika's mixed population. It was said the port came to a standstill on the Jewish sabbath. The Salonika Jews lost live, homes and jobs after a fire in 1917, and their position declined after the Greco-Turkish war from 1918-22 brought Greek rule, and the arrival of thousands of Greeks expelled from the Turkish mainland. Antisemitism and economic recession caused many Jews to emigrate, including 500 dockers enticed with their families to Haifa, where they enabled the Jewish yishuv to ease its dependence on Arab labour. In 1941, when the Nazis occupied Greece there were approximately 76,000 Jews in the country, of whom 56,000 lived in Salonika. That winter, the Greek Jews, and indeed the population in general, suffered almost as badly as people elsewhere in eastern Europe. Besides the destruction wrought by bombing and invasion, there was famine. Greece was unable to exchange its produce - dried fruits, tobacco, and olive oil - for wheat. In March 1942 the German occupiers allowed the British government and Red Cross to send wheat shipments to Athens, but in Salonika, 20,000 Jews starved and there was an outbreak of spotted typhus. The German command for Salonika and the Aegean decreed in July that all Jewish males between 18 and 45 should be conscripted for heavy labour, though the Todt Organisation had difficulty finding three or four thousand men for railway construction among this debilitated mass of people. 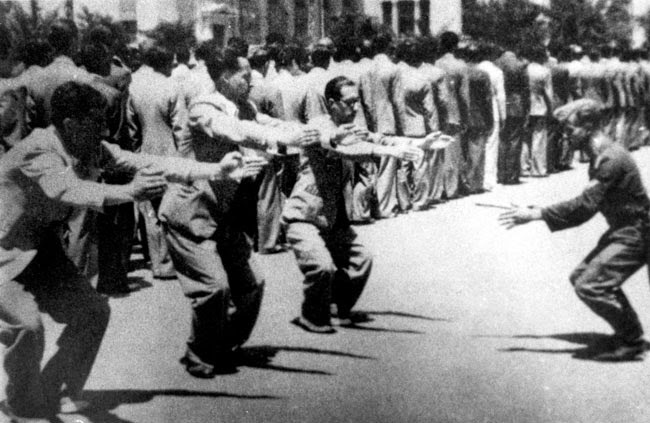 On Saturday, July 11, 1942, or "Black Saturday," thousands of Jewish men dressed in their best sabbath clothes were rounded up and taken to the Salonika town square, where they were beaten and humiliated, forced to perform physical jerks in the blazing sun for hours, to decide who was fit for manual labor. Thousands were then sent to do road work under harsh conditions. Many hundreds died, others were murdered as they tried to escape. The Jewish community tried to help with food,medicines and clothing. Then in October the German officer responsible for dealing with the Jewish community in Salonika, Dr.Max Merten, let people buy exemptions, finally exacting a fine of 2,500,000 drachma from the community to stop the conscription. It was an illusory respite. Eichman, or at least one of his henchman, visited Salonika, and the order came to deport its Jews. Many appear to have told themselves that Poland could not be worse than the forced labour gangs, others were told they would be sent to the easier conditions of Theresienstadt. The first train, of forty box-cars, arrived in Auschwitz on March 20,1943. Following the selection 417 men and 192 women were admitted into the camp. 2,191 people killed in the gas chambers. By mid-May, the great bulk of Salonika Jewry had been deported, 42,830 people in sixteen trains. Nowadays there are no more than about 1,500 Jews in Salonika. Many of their synagogues and institutions were plundered and destroyed. Last year it was reported that Salonika Jews were suing the German government to try and recover some of the millions extorted by Dr.Mertens. He is said to have hidden a huge fortune. But they are owed far more than can ever be repaid. The Jews of Athens were less culturally distinct,and found it easier to disappear among neighbours, and only(!) two trainloads of them were taken away for the camps. Elsewhere, conditions varied. Sometimes Greek bishops and other leaders encouraged their followers to assist the Jews,and the EAM-ELAS resistance protected and recruited Jews. The city of Volos, which was in the Italian zone of occupation, had a Jewish population of 882, and many Jews from Salonika sought sanctuary there. By March 1944, more than 1,000 Jews lived there. In September 1943, when the Nazis took over, head rabbi Pessah worked with Archbishop Ioakim and the EAM resistance movement to find sanctuary for the Jews in Pelion. Due to their efforts, 74% of the city's Jews were saved. Of the more than 1,000 Jews, only 130 were deported to Auschwitz. But all told, more than 80 per cent of the Jews of Greece perished at the hands of the Nazis, or of their Bulgarian allies in Thrace. Meanwhile, what of the rest of the population? The Nazi occupiers imposed a forced loan from Greece to finance their war effort, and plundered the countryside, leaving Greeks to starve while the food went to German armed forces. They were ruthless in punishing resistance. While we have been told repeatedly about Greece's debts for bailout,and some German newspapers have caricatured Greeks as lazy, unproductive beggars spending their time in cafes, Greeks suffering the affects of austerity and joblessness have remembered wartime experience, or what they were told by their parents about life -and death - under German rule. On June 10, 1944, three Wehrmacht units converged on the village of Distomo in Nazi-occupied central Greece. They had received reports of black market activity in the area - a hanging offence under the Nazis, who stockpiled food to supply their armies overseas, leaving the local population strictly rationed. Instead of smugglers they found a dozen resistance fighters and rounded them up. "A representative ran off and warned the resistance that was encamped three or four kilometres from the village," says Thanos Bouras, who was then 20 years old. "The resistance attacked, and they mortally wounded the German commander. A woman brought him some water. He thanked her, and said: 'The entire village [is] kaput, but don't harm this woman.'" What followed was one of the worst Nazi atrocities in Greece during their three-and-a-half-year occupation. Angelos Kastritis, who was eight, remembers the Germans going house to house, bashing down doors and spraying interiors with machine-gun fire. Kastritis' mother had told him and his father to make themselves scarce while she stayed home with her in-laws, believing that women and the elderly would not be harmed. "When I returned I first saw my grandfather. The back of his head was gone and his brains had been splattered against a staircase. My grandmother was seated next to him [dead]. Inside the house I saw my mother… They had killed her execution-style, from behind." Sture Linner, the Swedish head of the Red Cross in Greece, arrived in Distomo three days later. He described what he saw in his autobiography, My Odyssey, "For hundreds of yards along the road, human bodies were hanging from every tree, pierced with bayonets - some were still alive. In the village… hundreds of dead bodies of people of all ages, from elderly to newborns, were strewn around on the dirt. Several women were slaughtered with bayonets, their wombs torn apart and their breasts severed …"
Seven percent of the Greek population at the time of the war - over half a million people - was wiped out. Four-fifths of those were civilians and were killed in mass executions and punitive massacres like that at Distomo. But the single biggest killer was starvation, stemming from Germany's disastrous management of the Greek economy. Greece lost 97 percent of its exports. Agricultural production fell; infrastructure was systematically destroyed. A year into the occupation, Germany was so worried about a collapse of civil society that it let Britain and the Red Cross distribute food and aid. For decades, Greece's official position, that reparations for this disaster remain an open question, has contradicted Germany's - that the matter is closed. But that may now be changing. On March 6, Greece's President Karolos Papoulias aired the subject during a visit from his German counterpart. "Greece never gave up its claims and a solution is negotiations as quickly as possible," he said. A Greek foreign ministry source says that negotiations were given the go-ahead during Chancellor Angela Merkel's last visit to Athens, on April 11. "The [Greek] government has sent the entire dossier to the Court of Audit for a legal opinion," said the source, on condition of anonymity. "As soon as that is delivered, talks will begin between foreign ministers." But it isn't clear how much Greece will ask for. The Allies disagreed on the amount that Germany should pay in reparations after World War II and set up the Inter-Allied Reparations Agency to distribute movable German assets among themselves - entire factories and blast furnaces were sawed to pieces and shipped. Greece was awarded 2.7 percent of the fixed assets and 4.35 percent of the movable assets, says Hagen Fleischer, professor emeritus at Athens University, one of the world's leading experts on World War II reparations. "Some of this got to Greece and some didn't." Fleischer's estimates will be detailed in a forthcoming book on the subject: "We might estimate that it was between 25 and 80 million dollars' worth [in 1938 dollars]," - roughly equivalent to the 2.7 percent share Greece was awarded. Whatever the arguments about money, this is also about debts that cannot be repaid.